Whether trying to control your weight or leading a busy and active lifestyle, it can sometimes be hard to ensure you give your body the required daily fluid intake of 2 – 2.5 litres each day. 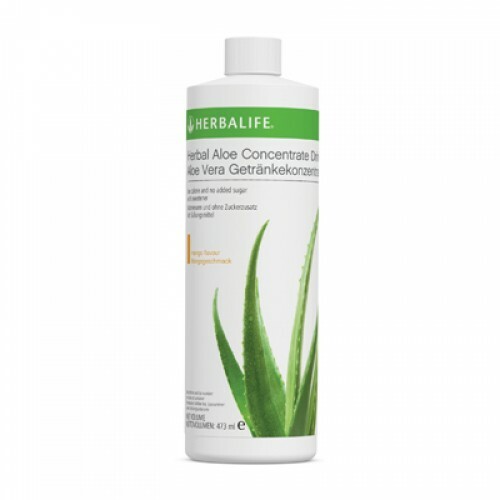 Herbal Aloe Concentrate mango flavour provides an ideal way to enjoy a healthy, refreshing and great tasting drink, to help increase your fluid intake. A healthier alternative to high calorie, sugary soft drinks. • The Aloe vera leaf is carefully picked and hand filleted to ensure the highest level of purity. • The Aloe gel is extracted using cold processing which is the best way to achieve the highest quality of gel. Mix 3-4 capfuls (15-20ml) with ½ a cup (120ml) of water.